Congratulations to Congress for passing the fiscal year 2019 defense budget. We won’t begrudge the accolades that resounded in Capitol Hill offices on the occasion of lawmakers simply having done their job. Yet the job isn’t fully done. 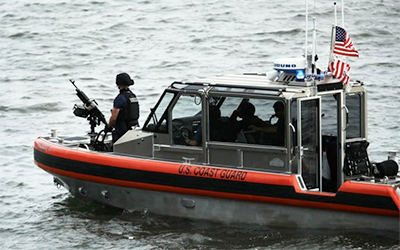 The U.S. Coast Guard, essential to homeland security, remains unfunded for next year. As America’s maritime first responder, our Coast Guard must be “ready, relevant and responsive,” as its guiding principles state. Integral to its readiness, the Coast Guard Reserve must respond to all hazards within 48 hours.